Newcomer Family Obituaries - Robert L 'Cowboy Bob' Hummel 1947 - 2019 - Newcomer Cremations, Funerals & Receptions. Cowboy Bob passed away in his home on February 5, 2019 after a courageous battle against cancer. He was preceded in death by his parents Thomas and Carol Hummel and his grandmother Alice Church. He is survived by his wife of 32 years JoAnn (Jojo) Hummel, son Ian (Dianne) Hummel, step sons Matthew (Virginya) McQuade, Adam McQuade, grandchildren Tyler, Trevor, Joey, James and Arah McQuade, sister Susan (Mark) Ridley, sisters-in-law Vicki (John) Dillon, Paula (Matt) Davis-Scurlock, brother-in-law Tom (Jeannie) Castorano, many nieces, nephews, cousins and close friends. He dearly loved his family and friends. Bob was raised in Grove City, Ohio and graduated in 1965 from Grove City High School. He attended Ohio University and graduated from the Columbus College of Art and Design. Two weeks after graduation Bob began his 30 year career at The Ohio State University. He was on staff as a designer and taught graphic design to Medical Illustration and Communication Students for 18 of those 30 years. Bob was also a talented portrait artist, creating hundreds of renderings of people, pets and caricatures over his lifetime. As talented as Bob was in the field of art, he was equally accomplished in music. 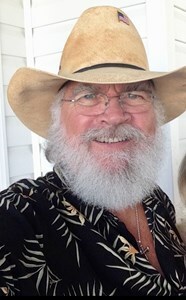 Bob began singing and entertaining in his teens and rose to the top with his band Rainbow Canyon's hit Franklin County Woman, recorded in 1977. They entertained at many central Ohio venues for 18 years. For the last 20 years Bob and his wife Jojo had continued entertaining in the Columbus area as well as their second home in Florida. He was an avid sportsman and excelled at Kung Fu and the martial arts. Bob loved the outdoors, wildlife, camping and hunting. He enjoyed the mountains, the beach and everything in between. Bob had a great sense of humor and a zest for life! The world will be a little less vibrant without him, but oh won't heaven be fun. Service will be Saturday, February 9, 2019 at St. Johns Evangelical Lutheran Church, 3220 Columbus Street, Grove City, Ohio 43123 at 10:30am. In lieu of flowers, please contribute to the charity of your choice in Bob's memory. Add your memories to the guest book of Robert Hummel. Deepest condolences. Bob and I played music in the 60’s and 70’s. Went seperate ways but always touched bases now and then. Bob’s a great guy! I’m so thankful to know him. Bob was a modern day Renaissance Man with just so many talents.....An amazing artist, musician who could build or fix damn near anything. He had the sparkliest eyes and a laugh that could fill a room. His wonderful sense of humor will always be remembered as will his positive attitude and willingness to help anyone who needed it. I’m a better man for having known him and will always admire and treasure his memory. Mom and I are so sorry we couldn't be there today. We are both under the weather and felt it was best to not spread our germs. Our thoughts and prayers are with you. Can’t stop thinking of the kindness shown to us when we became there new neighbors in Fl. Bob and JoJo included us in the activities to help us to get to know all our other wonderful neighbors. There talent of singing and “Pickin on the Porch” was so much fun. There life together is a pure treasure and they shared that with everyone . Our lives are better because of them and will never be the same without Bob. We are honored to call them our friends. Peace be with you and your families JoJo you are in our prayers. So sorry to hear of Bob’s passing. He was always fun to talk to, and he will be missed. Please accept our condolences. May many good memories help you through this difficult time. The first day of school at GCHS one year, our assistant principal (Mr. Mounts) announced there would be no detention after school this year as a punishment for “acting up” during the school day. Instead, you would be suspended for three days. We all cheered. The next hour in study hall, Bob and I were quietly playing the educational game of “hangman” since we had no real school work to do. The teacher instructed Bob and me to report to Mr. Mounts office which we did and he told us we were suspended from school for three days. This was on the first day of the new school year and we were the first test case. The bottom line is, we had a blast during the three days and walked by the high school several times waving to our friends as looked out the windows and waved back. Our fondest memories of Cowboy Bob are at Round Lake Christian Camp during VIP Camp week. Bob and JoJo would sing every year for our evening entertainment and our campers would dance and sing along, too! They loved Cowboy Bob and JoJo’s style of entertainment-it was their favorite event at church camp! Our loss truly will be heaven’s gain. There will be a sense of sadness at camp this year, but there will also be rejoicing that Cowboy Bob is home at last. Our prayers are with Jojo and the family. Thank you for all the great times in Japanese Gardens. We loved your music and enjoyed the dance lessons too.
" I Thought He Walked On Water "
YEAH BOB ----- WHOOOOEEEEEE !!!!! Bob was a great camping buddy of mine at Brown's Mountain. I also attended many of his music performances. Bob had a great sense of humor. He will be missed. We remember when they bought their place next door. Our manager said "You will like them." She sure was right . There was soon a lot of pounding and sawing going on . Shortly we saw and met Bob. He was quick to invite us in to see his handiwork . Seems he had the place whipped into shape in no time. Pretty soon they had a golf cart with a little help from some friends from the Villages (Fl). They put it to good use getting to know people all over the park (Japanese Gardens). And after a bit, we were all privlidged to hear them sing and many times since in our clubhouse. We really enjoyed their music . Not too much later, they began a Gospel sing which included many more park folks. What a great idea. Who knew we had lots more folks with great music in them. Seems to us that Bob and JoJo loved to cruise (golf cart) and Cruises. We visited with them last Spring shortly before a planned cruise and they were very excited . We remember with joy and love. God bless you Bob, JoJo, family, friends and neighbors. Years of work and "some" play at Medical Illustration just flashed by as I learned of Cowboy Bob passing. We worked together and taught the same students, I taught Medical Photography and Bob taught Graphic Arts. He always accused me of keeping the students in the dark. I still have the Gilley's belt buckle Bob brought back from Texas for me in the 70s. It shines like his memory will. We are so sorry for you loss JoJo. I'm sure Cody was waiting at the bridge for Bob, and they are together again. I am so sorry to hear of Bob's death. I have so many fond memories of the two of you performing each year for our Country Western theme party at Friendship Village of Dublin. And it was always a pleasure to share dinner with you both and hear about your busy life. Then meeting you at Home Depot in Westerville after I retired was a delightful surprise. Know that you are in my thoughts and prayers as you grieve the loss of your beloved husband. I was one of those OSU Medical Communications students who had the pleasure of having Cowboy Bob as my instructor in graphic design. He was the "cool" teacher with his music nightlife, art and cowboy hat and jeans !! I remember him helping many of us Med Commies with little art talent with our independent projects !! I was lucky enough to hang out at a pig roast and hear him sing decades later as ends up he was friends with my father in law!! (Who knew) . He was still the "cool" approachable guy in the cowboy hat ! Yes heaven sure gained some fun! Love to all those who will miss him here on earth ! I was one of Bob's students in the Medical Illustration program at Ohio State. Bob was incredibly talented artistically, an amazing and gifted teacher, and someone who encouraged his students at all times. He was passionate about graphic design and music and always the consummate professional who found ways to make us laugh as we learned. His classes were a hit with students and because of Bob's classes and critiques, I was able to work in both graphic design and medical illustration in the years after graduation. Bob will be greatly missed by all. Cowboy Bob was so talented! He designed the logo still used today by our national medical organization. His portrait of my daughters still hangs so proudly in our living room; and he was so exceptional in every respect. What a wonderful artist, musician and "love of life" person he was. And entertained us. Stacey always had such a exciting time. You will be missed but we know your pain and suffering is over and you are singing with the angels in Heaven. Until we meet again my friend. I met Cowboy Bob through Jim "Doc" Brick. I had the privilege of joining the musical jam session out at Doc Brick's place one Labor Day weekend. I would have enjoyed doing it a lot more often, to tell the truth. All I can remember is playing music and laughing. God bless you, Cowboy. Our condolences to Jo Jo and the rest of the family. May heaven welcome you with open arms and clear their stage! Our condolences on the loss of your precious Husband. You two touched so many lives with your music. It was a pleasure meeting you both at Colonial Manor in Florida. So sorry to hear of Bob's passing. Cherish your memories. Sending you comforting thoughts from Venice. I first met Bob in Spanish class at Grove City HS. He was a senior, two grades ahead of me, as was Neil. After high school, Bob, Neil and I would occasionally get together to jam. Shortly after "Franklin County Woman" broke, we became a full band. What I really cherish about those years is that magic that happens when people come together to produce something that people like. There’s nothing like the unity that a band hopes to establish for a common cause – to produce great music – and have loads of fun doing it. I will always have fond memories of us traveling around the state, playing in some bar, or at any number of festivals, and recording. In many respects, we lived the dream that many would have loved to have enjoyed. Bob was a great musician, songwriter and friend. And he certainly loved his family. His absence will really be felt. My condolences to Jojo, Ian and the rest of the family. Bob was a very talented man and lived his life to the fullest. He was well liked by all that knew him. He will be greatly missed in our park, as we all looked forward to your entertaining at our different events, and just riding around in your golf cart visiting as you went past our home. We hope your happy memories will help you through this very difficult time. Our deepest sympathy to you and your family. We will keep you in our thoughts and prayers. were I go. Our Music Leader Carolyn and others at the Jam's did know Robert and I am sure that they will miss him. My God be with the family and friends in this time. The parting is only for a time till the Lord takes you home or His return to take us all home..
Dwight and I want to send our condolences to you and your family. What I will remember about Cowboy Bob is when he played at Three Oaks Vineyard, I could hear him across the street sitting on my front porch. No other entertainment could I hear. He had a wonderful voice and a great sense of humor. I know he loved his JoJo with all his heart. May he rest in heaven! The measure of a life well lived is the ability and willingness to give and receive "comfort and joy" in all you do. Bob did that with grace with all he touched. What a blessing in our lives. He will be missed and always remembered. Jojo, Sue, Ian and the rest of the family & fellow Cousins; The world down here is a bit sadder this week but a lot happier up above. I am so very sorry for the loss for all of us. "Cowboy Bob" was a true Prince of a fellow with the biggest smile, brightest eyes and kindest heart. He just brightened up the world around him. I always enjoyed hearing him sing and play the guitar, either with the band, with you Jojo or by himself. It's also a testament to he and the band that 42 years later many many of the people I talk to still remember "Franklin County Woman." All of the excitement and events that 1 song brought about back then was fantastic! Going to the Wineries in the summertime just won't be the same anymore without you and Bob performing in the evening. Sylhet and I will truly miss him. As someone said, "The song is over but the melody lingers on". His melody will linger on for years to come. We played music.when ever we got a chance. It was tough tho with his band Rainbow Canyon and my group Backwoods Band. Oh what memories. A swim in the pool, a walk on the beach, a search for skarks teeth, a golf cart ride through the park and a song to sing makes my memories of you. You shared your talents and your zest for the good things in life. You made friends near and far because you projected kindness to everyone you met. A life well lived with no regrets is all that we can strive for and you reached your goal. It has been a pleasure to have our paths cross and share in your life experience. We were so sad to hear that Bob lost his battle, but he fought hard with you as his encouragement. We remember fondly your walks past our place in Japanese Gardens when we would chat with you two. Enjoyed so much your entertainment at our club house also. We miss you and wish you peace and love. I will never see a Red Solo Cup without thinking of Cowboy Bob and Jojo. Our deepest sympathy goes out to you and your family, Jojo. Bob was a great guy and will be missed by so many. Prayers. Behind that big beard was a big man with a big heart. Talented, kind, funny, and always with a smile. He will be so very missed by his woodcarving friends, and by those who just loved to hear him sing. Our world will be sadder, and a bit quieter. But it was so much fun knowing him. Bob the man with a great big smile, kind hearted and talented in many ways. You have left your family many memories to keep with them. Our thoughts and prayers are with Joanne and the rest of the family. We unfortunately will not be at the service due to previous plans out of State but will have you all in our hearts.